A new LAPD blog, http://nw91401.org/ focuses on community issues, especially crime, for those residents who live in 91401, a zip code district of Sherman Oaks bounded by Burbank Blvd on the north, Chandler Blvd on the south, Hazeltine Ave on the west, and Woodman Ave on the east. 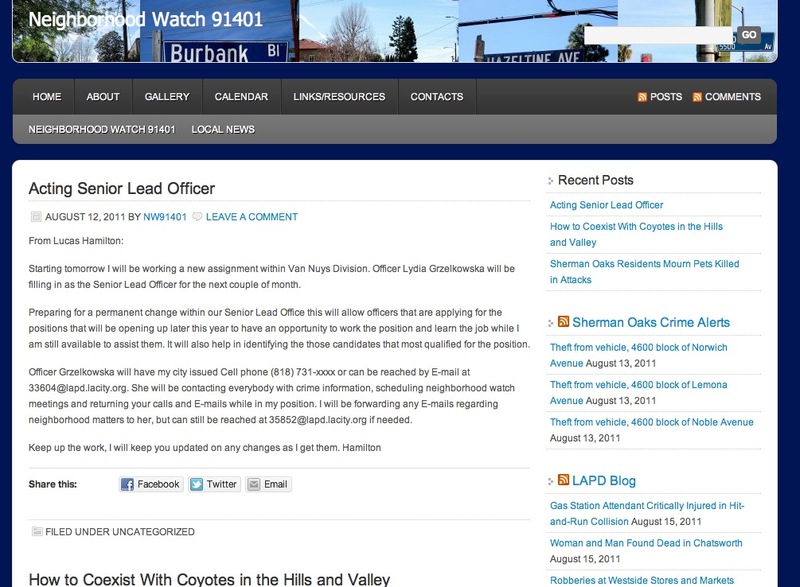 Sherman Oaks is increasingly dependent on blogs which connect neighbors and publish crime and safety information. ← 1950s Traffic Accident on San Vicente, Los Angeles, CA.